Christian Bodybuilding has a large following and is something that certainly is controversial to some people but completely acceptable to others. So it really depends on your personal view is and obviously the specific religion that you follow. 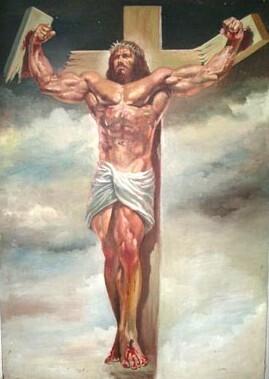 Looking at the comments on the forums it seems that bodybuilding is very acceptable to some Christians and not others. We obviously cannot go into the very specific references that enable the Christians to justify that fact that bodybuilding is sanctioned by the church but the discussion is certainly interesting. Christian bodybuilders justify their sport by saying your body is the temple of God and that if you are not using steroids to compete then you are protecting what God gave you and making it as strong and as healthy as possible. Bodybuilding has directly affected many different people’s lives all over the world and it is a sport that continues to grow. It is not surprising that various groups of bodybuilders will come together on chat forums and other social media to talk about what they have in common. There are comments on forums that go into the narcissistic nature of bodybuilding and the enormous criticism that Christians come under when trying to justify doing bodybuilding. However it all boils down to your own personal interpretation on how you want to main, develop and improve your life and your health. To quote just one of the many comments on the subject of bodybuilding and Christianity "What better way to physically honor God than to take care of the very gift that was given to us by Him?" This is a typical response from most of the bodybuilders that consider themselves Christians.